Located 35 miles from Philadelphia in Browns Mills, NJ, Deborah® a not-for-profit specialty hospital, dedicated to making cardiac and pulmonary breakthroughs every day. In this uniquely challenging culture, we provide an intense level of care for very special patients. Deborah® has been a leader in tertiary care services since 1922 and is the only specialty hospital in the region focused exclusively on cardiac, pulmonary and vascular disease. Widely respected for its supreme quality of health care and outstanding patient satisfaction, the hospital offers leading-edge technology and clinical services, as well as comprehensive outpatient programs. Its clinical outcomes consistently rank among the best in the country, and have resulted in various awards and recognitions. We offer a wide array of career opportunities. Receive job listings that best match your profile. Learn about the Browns Mills, New Jersey area. Have questions about our hiring process? Deborah’s commitment to the health and wellness of its staff has been recognized by three independent organizations for its excellence. Deborah was named one of the Healthiest Employers for 2015 by the Philadelphia Business Journal. Deborah has an onsite employee health and wellness department which offers wellness programs and chairs the Wellness Committee. Employees are able to get minor health issues diagnosed and treated on-site as well as get routine monitoring, labs and referrals for additional evaluations as needed. Deborah also offers routine vaccinations at no cost to our employees. Chamber of Commerce of Southern New Jersey Wellness Award is being presented at the 20th Annual Pinnacle Awards Dinner in June of 2015. Deborah is the recipient of this year’s Wellness Award for its wellness activities available to employees. 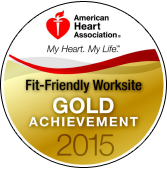 American Heart Association’s Fit-Friendly Worksites program recognized Deborah as an employer who champions the health of our employees and works to create a culture of health in the workplace. At Deborah®, healthcare is still about caring... for patients and employees. That’s why we offer an outstanding benefits package.